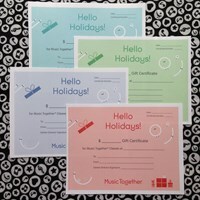 Give your child the gift of music! Gift certificates will be emailed as a PDF and will include a unique coupon code that can be redeemed at the time of online registration. Gift certificates do not expire.